Tokyo: One of Tokyo's most crowded subway lines is hoping the way to reach their customers' hearts is through their stomachs, and offering free food to ease rush hour congestion. Around 7.2 million people use Tokyo's mammoth metro system every day, with some lines suffering notorious crowding during commuting hours. Among the worst affected is the Tozai line, which is now trying to entice users to take trains before the worst of the morning rush hour starts. If it can convince at least 2,000 commuters to take earlier trains over the next two weeks, Tokyo Metro - the company operating the line - will offer each of the early birds free tempura. And if 2,500 people complete the challenge to ride into work earlier every day over the period, they will each get a free bowl of soba. If over 3,000 commuters get on board, they'll get a combo - soba and tempura - for their trouble. The offer of free noodles comes as the Tokyo Metropolitan Government launched its own initiative over the next two weeks to encourage commuting outside of peak hours. Nearly 1,000 businesses are taking part in the campaign, allowing their staff to start and end work earlier than usual, or work from home. Metro officials have long attempted various campaigns to ease rush hour conditions especially on the Tozai Line, which links eastern suburbs of Tokyo and Chiba directly to the business districts of the world's largest metropolis. During the hour from 7.50am to 8.50am, more than 76,000 passengers use the line, double the number of people the train was originally designed to comfortably serve. Trains on the line operate at 199 per cent capacity, which is still considered safe, but means passengers are packed so tightly they would have difficulty moving their bodies or limbs, said Takeshi Yamashita, a Tokyo Metro spokesman. "This is our most congested line. We are always trying to ease the rush hour congestion," he told AFP. "We hope this will encourage people to continue (taking early trains) to help ease the rush hour situation," he said. 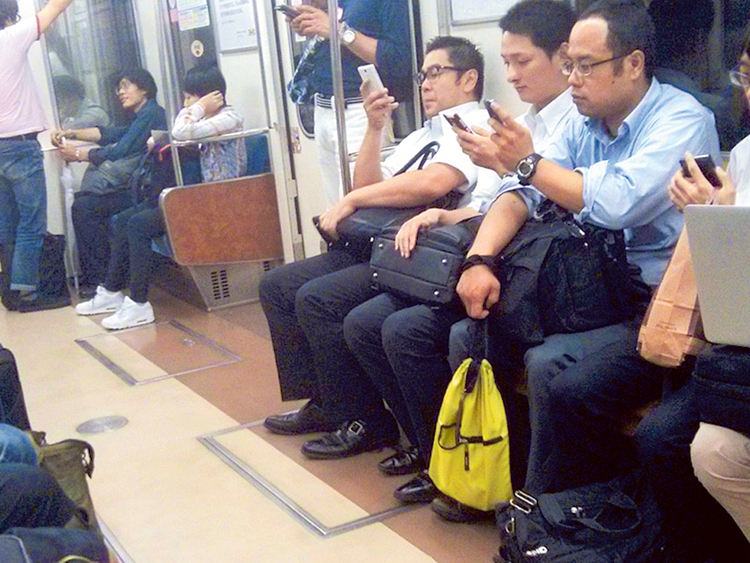 Commuter congestion is expected to be among the logistical challenges Tokyo will face when it hosts the Olympics next year summer, with some experts urging initiatives including tele-working to avoid chaos during the Games.